Is Buddhism relevant in a modern Western city? Is lasting happiness possible? What is karma? How does meditation work? 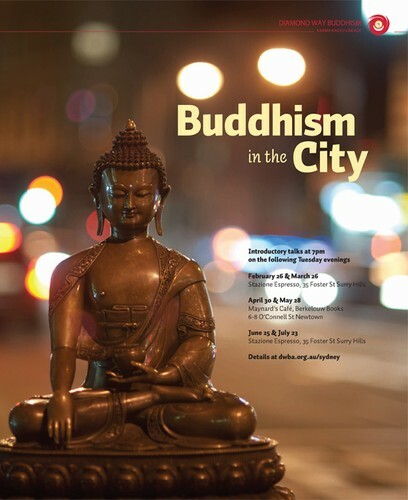 Buddhism in the City is a series of talks introducing the timeless wisdom of Tibetan Buddhism in the context of a busy city lifestyle. This talk will introduce you to basic Buddhist teachings and how to use them in your life, and give you a chance to ask questions and try out a meditation. For further details please visit the websites above.